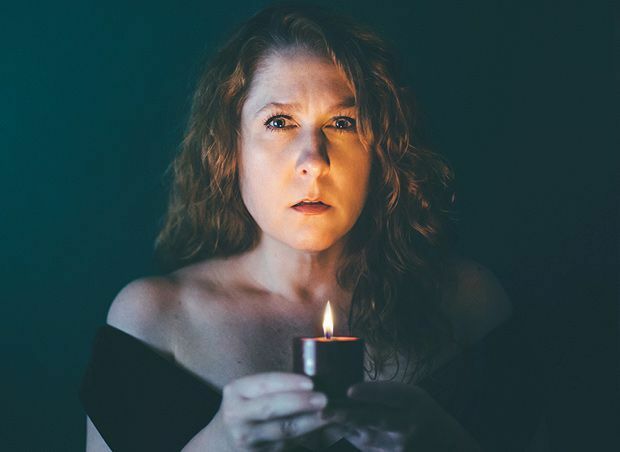 In this frugally produced one-woman show, Brooklyn-based actress Klahr Thorsen shares the story of her life-long obsession with the role of Lady Macbeth, from fervent childhood dreams of stardom to finally fulfilling her ambition of playing the infamous role at the Globe Theatre in London in 2013. Thorsen delivers a series of important chapters of her life by creating an array of supporting cast members, including herself at various ages. Thorsen is an engaging and warm performer, and in the brief excerpts of Shakespearean monologue, it is clear to see the fruits of her heavy investment in the exploration of Lady Macbeth's psyche. Scenes in which she unpacks her mother's mental illness are finely drawn and emotive, but don't require the subsequent slightly blunt parallel that is then drawn with Lady Macbeth. Neatly following the bullet points of Thorsen's dramatic career, chapters are punctuated by the delivery of some heavy-handed timeline signposting. It is symptomatic of a nuance that is lacking in the show; taken on face value, Thorsen's life has been one of relentless devotion to one particular character. Screw Your Courage! was recently well-received when it previewed off-Broadway, with particular emphasis placed upon how successfully the low-budget show embodies the nomadic, experimental spirit of the Edinburgh Festival Fringe. When staged in Edinburgh, it curiously begins to embody a British perception of off-Broadway theatre: the introspective performer clad all in black, clutching a water bottle and telling a tale that remains rooted in the western canon. Greenside @ Infirmary Street, until 27 Aug (not 14, 21), 1.50pm, £10 (£6).